I studied Design in college. 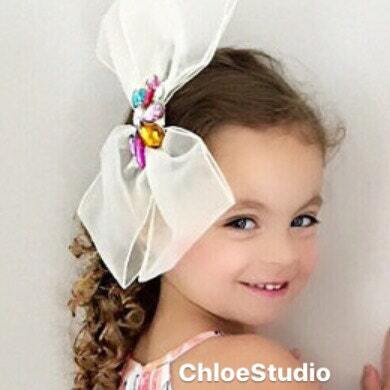 I am a mother of a beautiful girl. :) I am very strict on the quality of my materials. All my materials are NICKEL-FREE and LEAD-FREE. 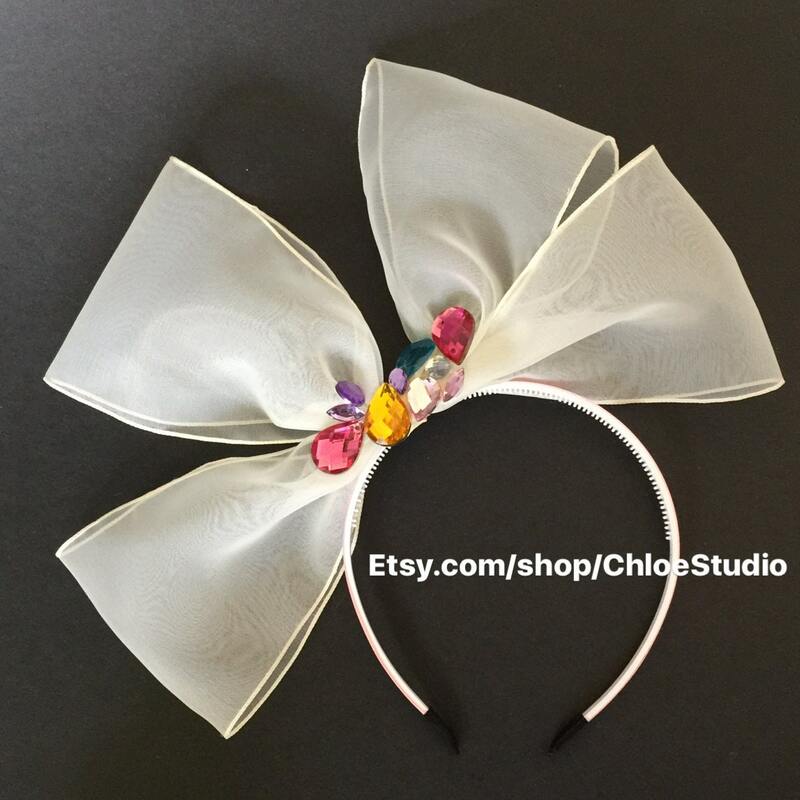 This large see-through bow is very lovely and made especially for princess girls. 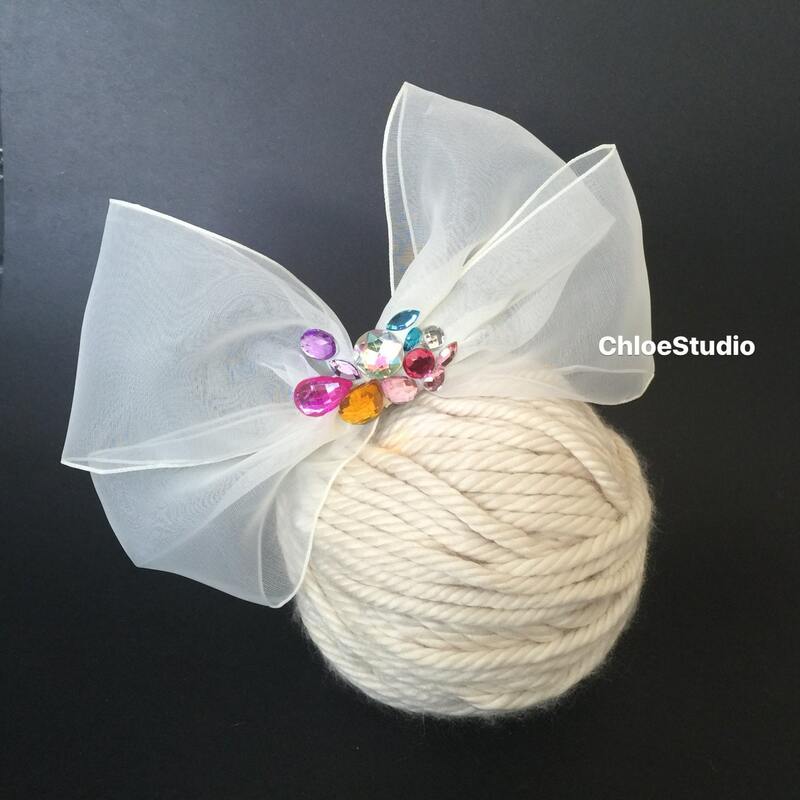 This is a one-of-a-kind hair accessory for girls in weddings, birthday parties, or any other occasions. 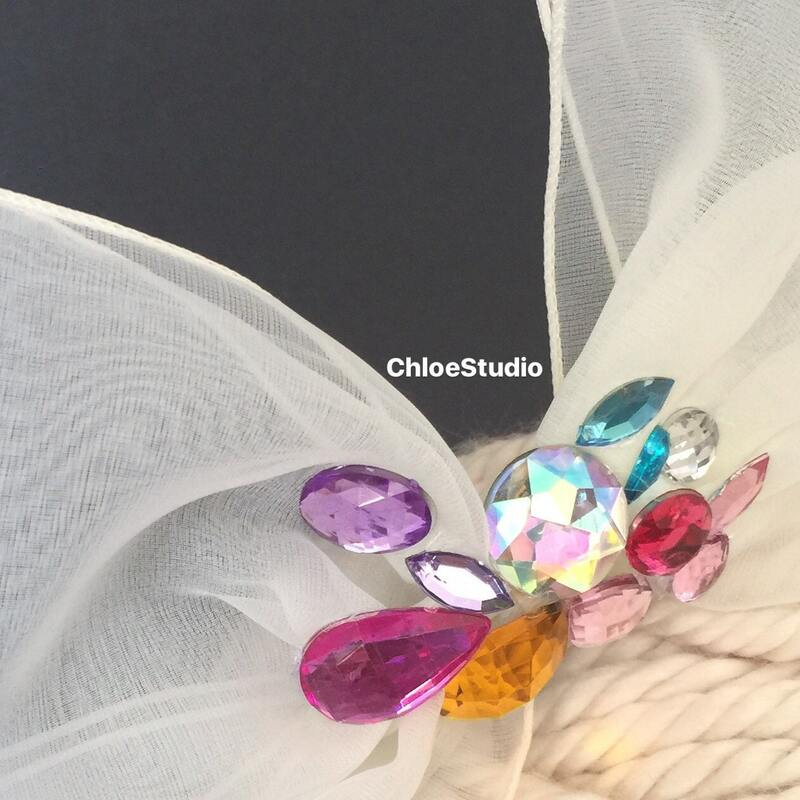 Highest quality rhinestones makes this headband gorgeous!! 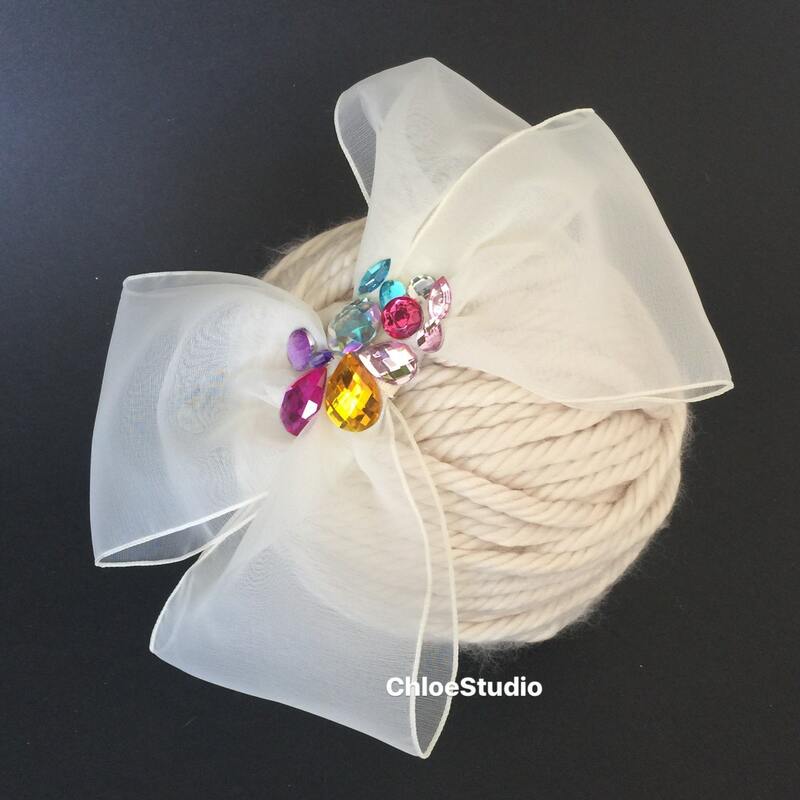 * I also accept custom rhinestone colors other than the ones shown in the pictures. If you would like other colors, please message me to see if I have the color available.